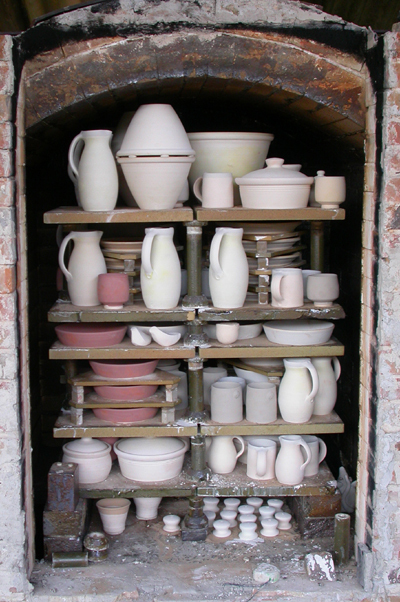 The Vision Gallery occupies a site at Sharlands Farm owned by potter Matthew Bayman. Matthew's work is fired in a wood burning kilm as this photograph shows. Here you can see a full kilm just prior to being sealed and fired up with chestnut logs coppiced by Matthew from his own woods.